This two-day training is to provide guidance to the private sector, national government agencies, local government units, government-owned and controlled corporations on all procurement transactions covered by the 2016 Revised Implementing Rules and Regulations (IRR) of the Procurement Law of the Philippines which needs to align with the newly signed July 17, 2017 Executive Order 34 of President Rodrigo R. Duterte to make procurement transactions faster and more efficient. The changes will impact on all government procurement and transactions with the private sector. This lecture will extensively discuss the revised IRR, the EO and how it affects certain government procurement processes and procedures, changes in the BAC Composition and its Functions, Guidelines in the formulation and revision of APP, Registration, Eligibility Requirements and Submission of Bids under the PhilGEPS, Exemptions from Public Bidding, Form and Contents of Bidding Documents, Alternative Methods of Procurement and Eligibility Requirements for the Procurement of Infrastructure, Goods, and Services. For public officials, avoid getting into trouble due to violation and ignorance of the procurementlaw. For the private sector, avoid disqualification due to non-compliance! Register to ensure seat availability. 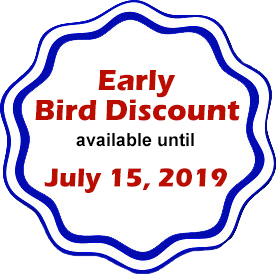 Avail of the Early Bird and Group Discounts! Course Director and Lecturer: Edmund B. Talle - He held the position of Director III, Department of Budget and Management for Region VIII from 1987 to 2012. He has conducted various trainings on Interpretation of the Procurement Law IRR, Public Expenditure Management,, Budget Operations Manual, Enhancing Competencies of Provincial BAC and other Stakeholders -- drawing from his experience as Chair of the Regional Inter-Agency Bids and Awards Committee (R-IABAC) in Region VIII. His contribution to government service includes the simplification of IRA releases to Local Government Units where he has also extended various technical assistance to many agencies and LGUs. He finished his MBA from the Asian Institute of Management (AIM) in 1991 and was recognized with a Merit Award for Exemplary Performance in his Certification Program for the Professionalization of Public Procurement Practitioners and Functions, August 2009.